Grew Up... as Harleen Quinzel. After becoming a psychiatrist, Harleen was tasked with psychoanalyzing Gotham’s biggest villain: The Joker. But as Amanda Waller describes it, “She thought she was curing him, but she was falling in love.” After being twisted and tortured by the Joker, Harleen Quinzel became Harley Quinn, the Clown Princess of Gotham. Living... alone and bored in Belle Reve Penitentiary. After spending years as the Joker’s moll, Harley Quinn was eventually captured by Batman and thrown into the government’s black site prison. Without the Joker at her side, or anyone else to play with, Harley has grown bored in her isolated prison cell. Profession... professional psychopath and reluctant hero. Harley was perfectly content to live out her days in chaos with the Joker at her side. But after her stint in prison, Harley is recruited by intelligence operative Amanda Waller for Task Force X. The “suicide squad” is made up of supervillains who can take down meta-human threats regular soldiers can’t. And thanks to the explosive device implanted in their necks, the villainous members of Task Force X must comply or die. Challenge... reuniting with the Joker. 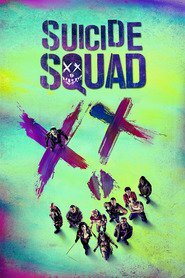 Though Harley begins to make friends with the other villains on her suicide squad, her loyalties lie first and foremost with Mr. J. She would do anything to reunite with him. Harley Quinn's popularity ranking on CharacTour is #447 out of 5,000+ characters. See our top-ranked characters and read their profiles.